The other night in class, we were talking about ways that people are considered “high-class” and someone said that owning a sailboat means you’re ‘high-class’. I had a chuckle because we have a sailboat but we do not fit, nor do we want to fit, into the type of meaning that people associate with ‘high class’. Our boat is not a yacht. It is a place that brings calm and happiness to my husband so it is a treasured item in our lives. My husband shares this experience with whoever, whenever they are available. There is a joy to this item that is hard to explain. To make it a status symbol would take away the deep meaning it has in his life, especially. In my life, it is something that makes him so happy so it makes me happy. 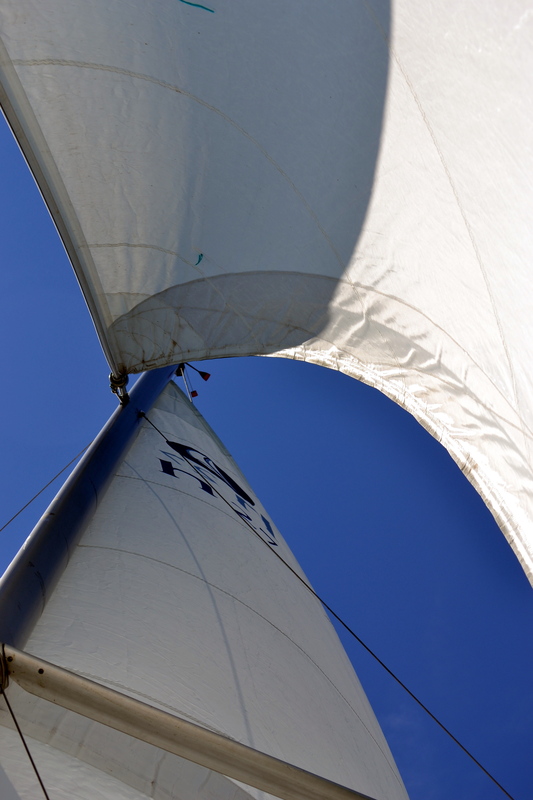 Sailing can be an expensive and an elitist experience, but that is not our experience, or our way of life. It is a great way for young people to learn to be on the water and have some autonomy by using small sailboats. Yesterday on my ride I saw dozens of young people learning to sail in simple rowboats with a sail on it. That is brilliant! 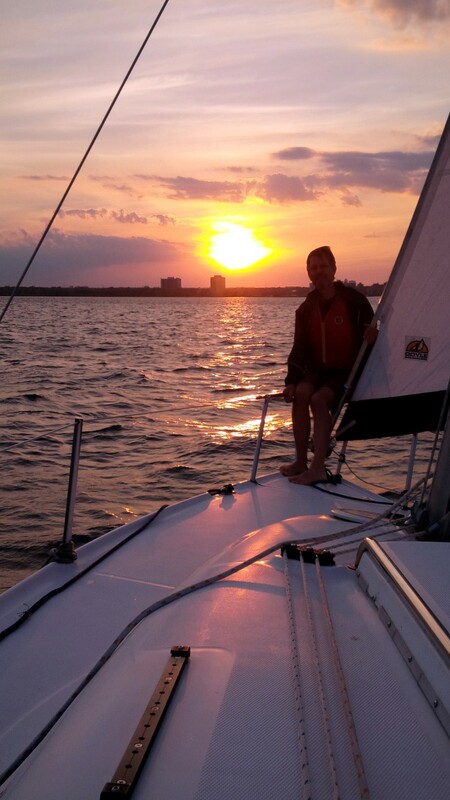 For all the time we spend on the sailboat, I am sadly lacking in photos – or at least photos on a decent camera. The one above is from my Nikon, the one below from my Blackberry. I have a friend who belongs to a boat club and he has sailed from the time he was a child, like his father before him. Yes, there’s yacht clubs, boat clubs, marinas – and each have their own culture and you find one that works for you. We have found that we are not ‘yacht club’ people – marinas tend to have people who like to hang out and barbeque and get to know their ‘neighbours’. Everyone is there for the simple pleasure of being on their boat. There’s little or no status issues. Boat clubs sound similar – people who just like to be on their boats. That being said, I’m confident there are yacht club people who also have that feeling. Love that first photo and your thoughts about sailing as a non-elitist experience that brings calm and happiness. Thanks. I do think there are some people with big yachts that probably get that calm and happiness as well – it’s simply not the way I perceive the activity. I will get the camera out on the boat more one day!